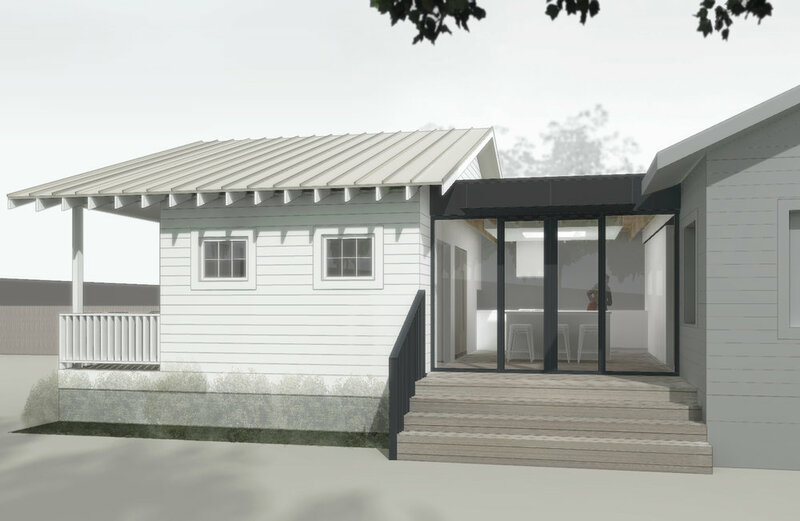 Description: This project sits on a site whose shape is the result of the historic trolley line that once ran through the neighborhood and eventually to downtown Atlanta. A previous addition to the existing home is to be replaced by this new one, which will house a new kitchen, bedroom suite, and mud room. The kitchen volume is designed to be a contemporary ‘bridge’ between the old home and the new living quarters, and features a glass wall that opens to the side & back yards. 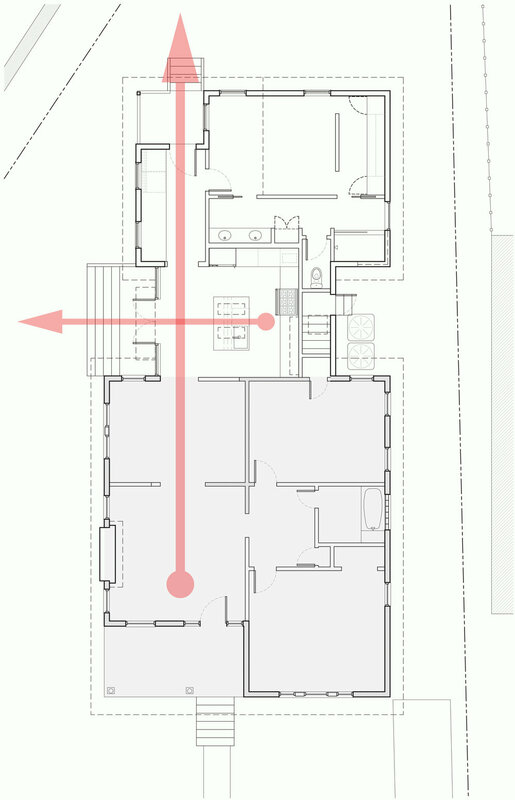 The new addition also seeks to connect the length of the site by allowing an axial view from the existing house through to the back yard.